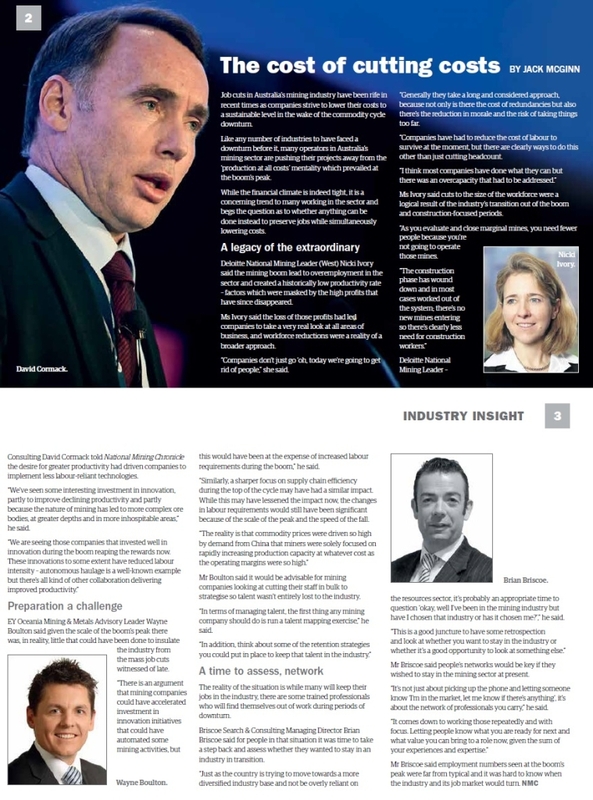 National Mining Chronicle feature an article about jobs in the mining industry with our MD Brian Briscoe. Brian explains it may be the time to take a step back and assess if mining is the industry you want to be in, and the importance using your network at this time. Article can also be found online here .